Nuestros socios de Estonia nos acaban de informar que tienen las siguientes vacantes para sus proyectos que comenzarán a partir de mayo 2012. ENVIAR LA DOCUMENTACION A: sve@ingalicia.org ANTES DEL 28 DE DICIEMBRE!! Details: Work in a kindergarden with small children in Tallinn – 9 months starting in September 2012 until end of May 2013. Preferred profile: Young person with strong desire to work with small children, creative, pro-active and communicative. Previous experience in working with kids (babysitting, practice, etc..) is a bonus. Details: working with disabled people in different centres in Tallinn. Creative workshops at TCBDP, english language discussion groups with blind people, arts and crafts workshops with mentally disabled people – 9 months starting in September 2012 until end of May 2013. Preferred profile: Young person with good communication skills and creative in different arts skills. Previous experience with mentally disable people is taken in good consideration. Details: Work in a Circus Studio, assisting in several circus workshops and acting classes – 9 months starting in September 2012 until end of May 2013. Details: Kinobuss is a small NGO that works under philosophy: cinema to the people by promoting animation and cinema workshops in schools and other organisation interested. Activities start in September 2012 until end of May 2013. Preferred profile: Open minded, interested in cinema and with good communication skills. Knowledge in PR, photography and blogging in an added value. Volunteers must be older than 22. Details: working with mentally disabled people in different units of the centre in Tallinn – 9 months starting in September 2012 until end of May 2013 – 2 vacancies. Preferred profile: Young person easy going, calm, friendly and not afraid of physical work with disable people. Previous experience with mentally disabled people is taken in good consideration. Details: working with mentally disable people. Work in day care centre with mentally disable adults and in children day care with young people in Tallinn – 9 months starting in September 2012 until end of May 2013 – 2 vacancies (adults centre and children centre, please specify your preference in motivation letter). Preferred profile: Young Person with creativity, pro-active, friendly and interested in arts. Previous experience with mentally disabled people is taken in good consideration. Details: working with orphan children and young people in orphan house and local primary school. Developing different activities with them during the free time and support the children in the everyday bases – 9 months starting in September 2012 until May 2013. Project is situated in a very small community in East-Estonia. Preferred profile: Young Person with a very strong motivation to work with children and ability to cope with the life in small village away from big centres, strong mental attitude and dynamic, willing to learn Estonian fast. Details: working with a local local primary school. Developing different activities with them during the free time and support the children in the everyday bases. 9 months starting in September 2012 until end May 2013. Project is situated in a very small community in East-Estonia. Obs: Volunteers which the sending organisation is open to apply themselves for the project, will be hight taking in consideration. Details: Project in East-Estonia working with local youngsters in open youth centre in a small village in a rural area organising different activities with and for them – 9 months starting in September 2012 until end of May 2013. Details: Project in west Harjumaa county (near Tallinn) working with local youngsters in open youth centre in a small village organising different activities with and for them – 9 months starting in September 2012 until May 2013. Details: Project takes place in a youth centre operating in a small village in north Estonia called Haljala. Tasks of the volunteer will be to organise different activities for and with youth visiting the centre – 9 months starting in September 2012 until May 2013. Preferred profile: Volunteer should have good communication skills, s/he should want to work with young people and to be ready to work in a small community. Details: Project takes place in a youth centre active in a small village in south Estonia called Uulu. 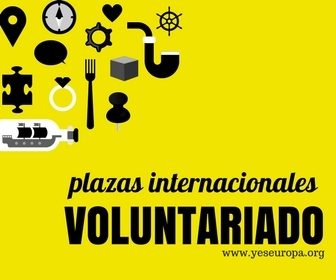 Tasks of the volunteer will be to organise different activities for and with youth visiting the centre – 9 months starting in September 2012 until May 2013. Details: working with a local Youth Center and local Orphanage in Elva (near Tartu). Developing different activities with them during the free time and support the children in the everyday bases – 9 months starting in September 2012 until end May 2013.